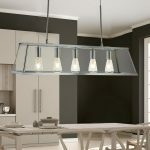 This Voyager 5 light pendant lantern ceiling light in polished chrome with clear glass panels has a contemporary retro look. The bright chrome shade has clear glass panels and features five light bulbs positioned equally along the fitting, providing an attractive source of light for any room. 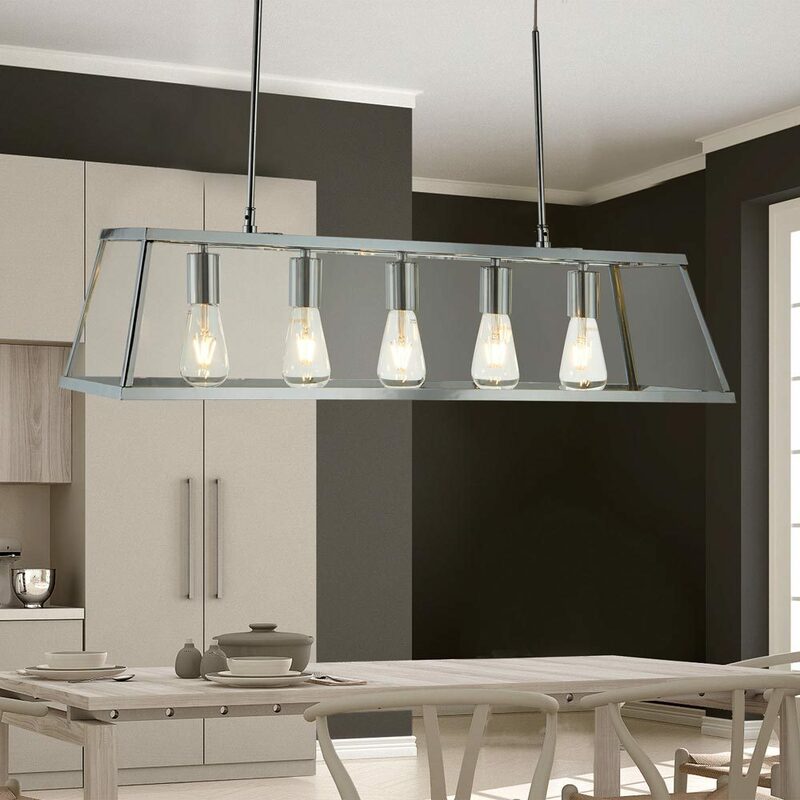 The bar hangs from the ceiling by height adjustable rods and is perfect for lighting kitchens and dining areas. The on-trend contemporary industrial style is perfect for modern, traditional and country style settings alike and the unusual open trough design adds instant style over a dining room table, breakfast bar, kitchen or anywhere else that you want to create a show stopping display. 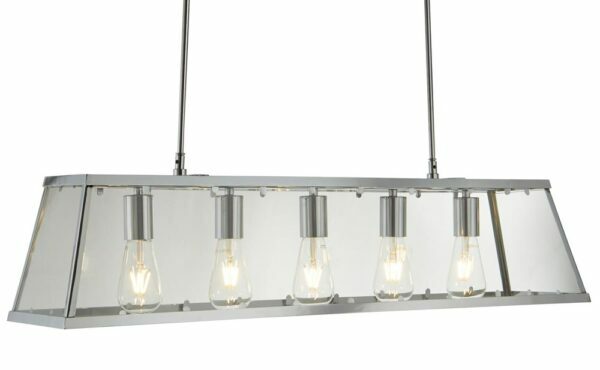 The clear glass and exposed bulbs complete the understated look and the slender suspension rods create a modern feel. Shown here fitted with LED filament lamp bulbs that are not supplied but available to purchase separately. This stylish light is supplied by Searchlight who manufacture some of the best traditional and modern classic designs such as the Voyager 5 light pendant lantern ceiling light in polished chrome with clear glass panels you see here.